I created this video back in 2010, but apparently I never posted about it here. By now, everyone knows how to fight Reptile. I did this for two simple reasons: 1) I never actually fought Reptile on the arcade version of MK1 and I wanted to scratch it off my bucket list, and 2) I wanted to make it a challenge by defeating him with a Double Flawless and Fatality on the hardest difficulty setting (Very Hard). No cheats were used, though I did create a save state right before The Pit stage once I knew the moon silhouettes would appear (see algorithm below). Enjoy. Must be on The Pit stage. A silhouette must fly past the moon before the match begins. Defeat your opponent with a Double Flawless without using Block (this means you can’t use Kano’s Knife Toss or Sub-Zero’s Slide). You may lose the first round only. Finish your opponent with a Fatality (uppercutting your opponent into The Pit does NOT count as a Fatality). Do not use Block in Scorpion’s case; instead, jump up and tap Up twice, timing the second Up as you land. Sonya can fight Reptile as of Revision 4.0. Note that Reptile is only present in Revision 3.0 and above. 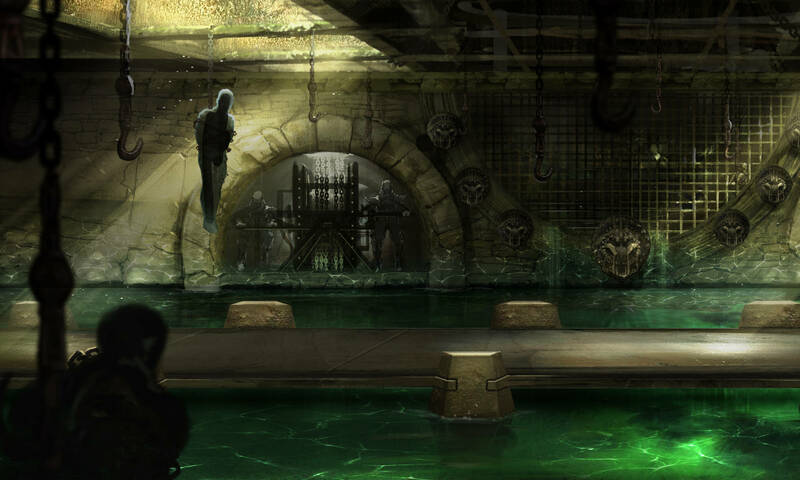 Reptile possesses the powers and Fatalities of both Scorpion and Sub-Zero, as well as enhanced speed. I used Raiden in this scenario because his jump kick has the longest reach, but it *should* work with most characters. Wait until Reptile approaches, ducking any projectile he may throw as soon as the round starts, then jump back and do the deepest kick you possibly can, followed by a Torpedo Push (or Superman – whatever you call it in your neck of the woods). If the kick is too high, he’ll have enough time to recover and block your TP. Reptile’s speed allows him to keep pace with your backwards jump, allowing Raiden’s kick to connect. Just don’t get pinned in the corner as I almost did. Make sure to finish Reptile with a Fatality in order to receive the bonus points. It’s a bug in the original game. See the uploaded text file for a disassembly of the Reptile bonus code. After the first call to award 2,000,000 points, the register holding the winning player number parameter (A1) will have been overwritten with a non-zero value. If you’re player 1, the subsequent score updates will erroneously award a total of 8,000,000 points to player 2. It looks like you’ll only receive the full 10,000,000 points if you’re playing as player 2. I’ve seen a lot of people having trouble using third-party controllers with this game. A possible cause for this is that the controller isn’t compatible with XInput. 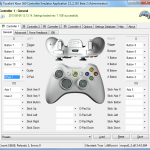 XInput is a DirectX library designed specifically for Xbox 360 and other compatible controllers. It was introduced in DirectX 9, replacing the now deprecated DirectInput. It has since become the new input standard for Windows-based games. Thus, all DirectInput controllers are considered legacy and may not be compatible with certain XInput games that don’t support it. 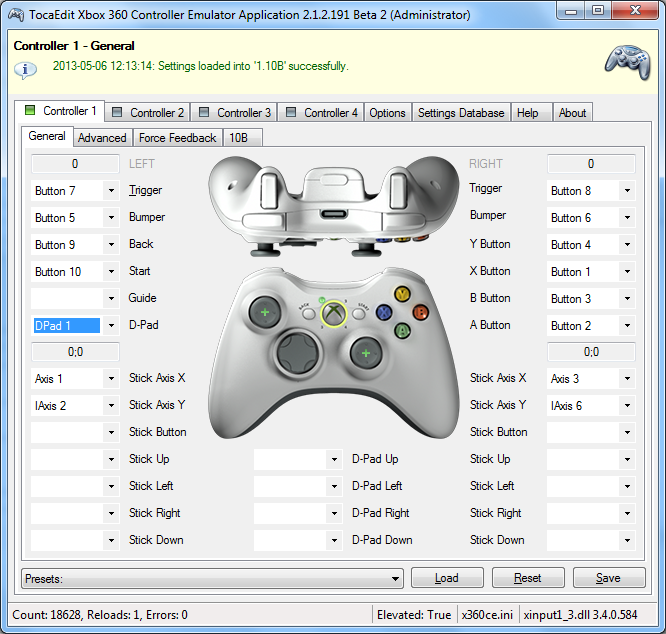 To remedy this, you may want to give Xbox 360 Controller Emulator a shot. In short, it’s a mapper library that translates XInput calls to DirectInput calls, allowing your controller to function like an Xbox 360 controller. What’s more, it’s open source, has a relatively small footprint, and is easy to set up. Step 1: Download x360ce.zip (32-bit) and extract it to the location of MKAK’s executable (e.g., C:\Program Files (x86)\Steam\steamapps\common\mortal kombat arcade kollection\BINARIES\WIN32). If the link is broken, it may have been updated. In which case, go here. Step 3: A New Device Detected window will follow. Leave everything as is and click Next. It will then search an internet database for a preset configuration. If it doesn’t find anything, don’t panic. It just means you’re going to have to do a little more work. Select a preset, if any, and click Finish. Otherwise, skip this by hitting Cancel. Step 4: Now you’re ready to configure/tweak the controller itself. This is pretty straight forward. Once everything is configured to your liking, click Save and close the program before running MKAK. The changes are written to x360ce.ini, so you don’t need to run x360ce.exe again unless you need to make additional changes. It is not necessary to keep x360ce.exe in the directory for the mapper library to work, as it only configures the INI file. If you’re having trouble identifying the buttons on your controller, open the Windows Run command (Windows Key+R) and type joy.cpl to launch the Game Controllers applet (XP/Vista/Seven/8), then click Properties to view your controller’s buttons/IDs. This tutorial will work for MK9 as well. Just remember to use the 32-bit binary for either game. I recommend DS4Windows if you’re using a PS4 controller. It essentially does the same thing as x360ce, but has better options for DualShock 4 controllers. If this solution isn’t your cup of tea, there are PC controllers that support both DirectInput and XInput, such as Logitech’s F310 and F710. Updated links and made some minor tweaks.